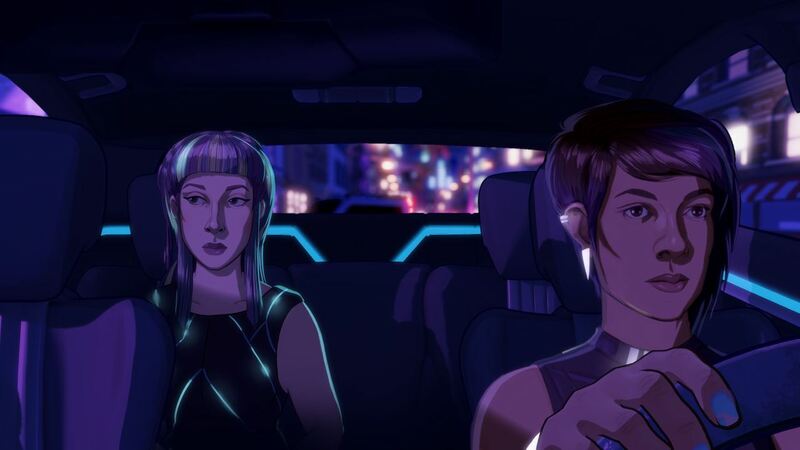 Fellow Traveller and Chance Agency have revealed that Neo Cab will release on Nintendo Switch, an emotional survival game about staying human in a world that has been disrupted by automation. You play as Lina, who is the last human driver on the neon-drenched streets of Los Ojos, California. When your friend and only lifeline Savy mysteriously vanishes, you find yourself on your own in an unfamiliar city. In your search, you must choose your passengers – and words – wisely. You will need to balance your cash, maintain a positive star rating, and manage your emotions in order to keep your job long enough to find her. Neo Cab will release on the Nintendo eShop for Nintendo Switch worldwide in Summer 2019.